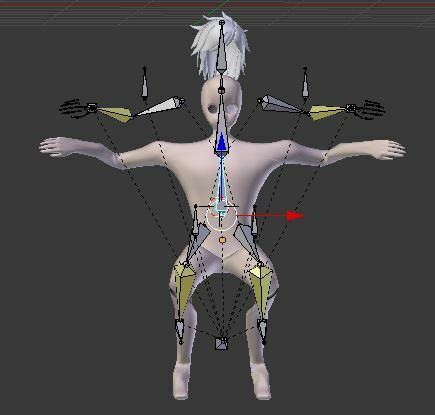 I have the armartures setup and they move their needed to body parts but when i take the stomach bone it moves the entire mesh and the control piece at his feet move the entire mesh. This is typically a case of vertices being influenced by 2 bones more than 50% (or 3 more than 33%, or 4 more than 25%, etc.). 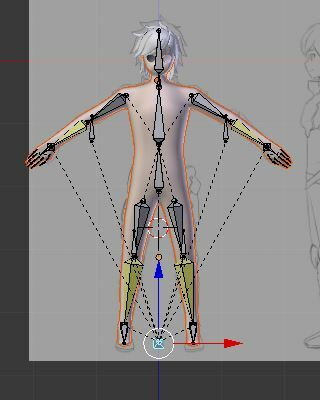 If 2 bones influence a vertex at 100%, then the result of the movement would be 200%. That’s the most simple way I can explain it. 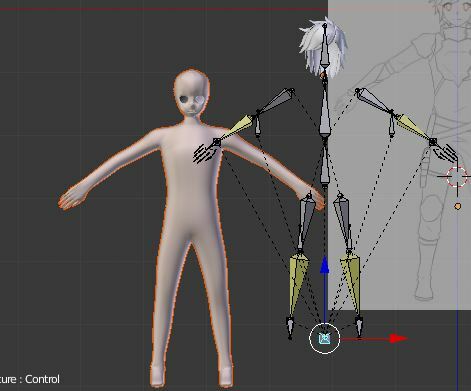 Proper rigging assumes there are no vertices assigned to bones unless it’s the exact nearby bone in the hierarchy, and you’re letting the rest of the skeleton do all the work to move everything around. So would I need to go into each of the vertex groups for the bones, unassign all, and then manually assign the vertices? I’m assuming you did “Armature Deform - With Automatic Weights”? Most of it should be okay with only minor tweaks needed, but if you’re having serious issues then I assume you’ve done something like assign the entire mesh to an origin bone, or something like that. I can’t check your file right now, sorry. Yeah I did some setting with automatic weights and checked the weight paint mode and it looked like it was shaded correctly. On the other hand I don’t know what a good weight paint looks like as this is my first time. I’ll double check to see if I accidentally parented any objects. I don’t know why but it didn’t save my last session so it’s an old save. I went back through the steps and it’s work now. Thanks for the help, I’ll keep in mind the vertices and fix them up a bit after looking at some tutorials.